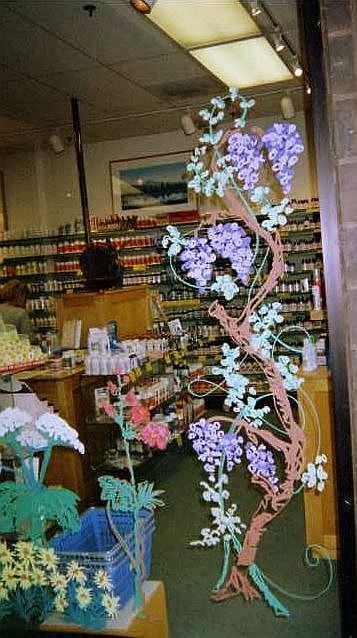 This vitamin shop wanted some botanical spring decorations. If you're thinking of hiring me to come paint for you, be sure to have your windows cleaned j ust before our appointment. 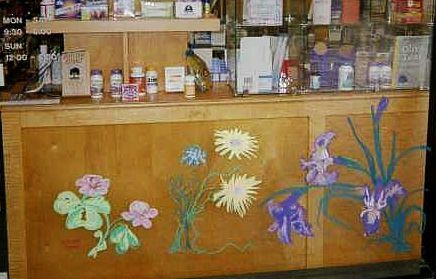 You won't be able to wash them w hile my painting is up, but they can be wiped down when dry without injuring the paint.